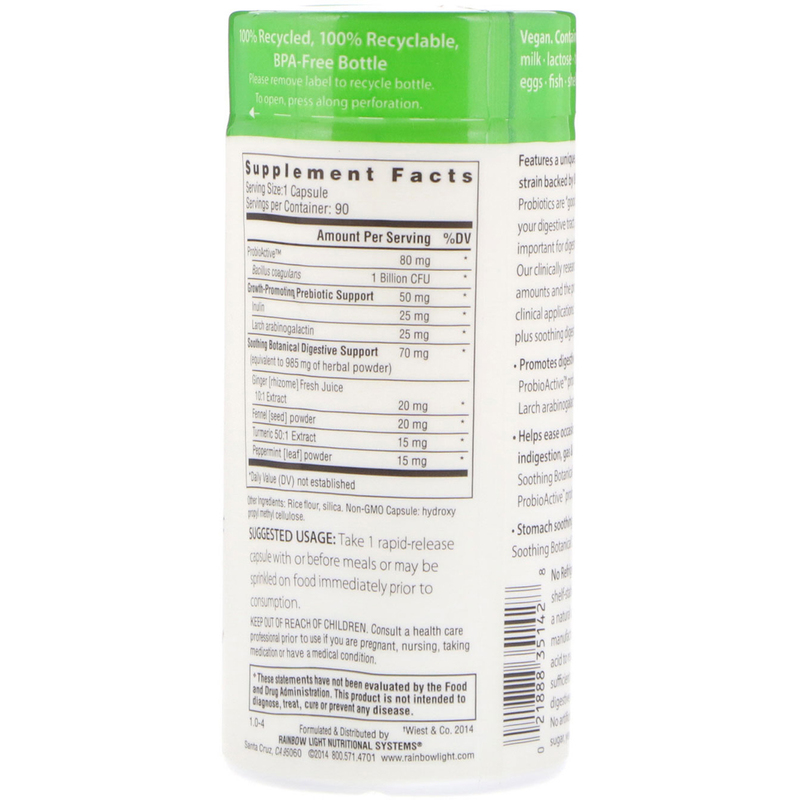 Features a unique, shelf-stable, vegan probiotic strain backed by 80 years of scientific research. 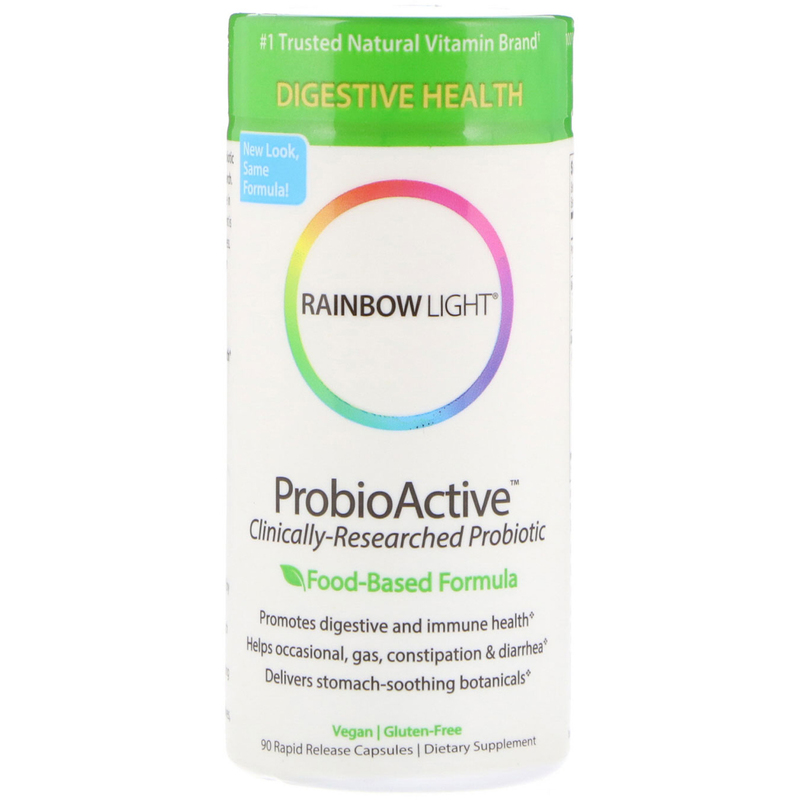 Probiotics are “good bacteria” that naturally live in your digestive tract, and probiotic replenishment is important for digestive balance & overall wellness. Our clinically researched strain is active at lower amounts and the probiotic of choice in many clinical applications. Fortified with prebiotics, plus soothing digestive herbs. Helps ease occasional constipation, indigestion, gas & bloating: Soothing botanical digestive blend, probioActive probiotics. Take 1 rapid-release capsule with or before meals or may be sprinkled on food immediately prior to consumption. Rice flour, silica, non-GMO. Capsule: hydroxy propyl methyl cellulose. Keep out of reach of children. Consult a health care professional prior to use if you are pregnant, nursing, taking medical of have a medical condition. No refrigeration required. Our shelf-stable probiotics are protected by a natural coating that can survive manufacturing, shipping and stomach acid to reach the digestive tract in sufficient numbers to thrive, promoting digestive and immune health.